Creating home made cards make giving cards a very personal touch. With these Kirstie Allsopp kits, making cards at home is simple and easy to do.The kits come with all the things you need to complete your project with detailed instructions as well. With this in mind I am hosting a giveaway for two Kirstie Allsop card making kits for two citrusspice readers. 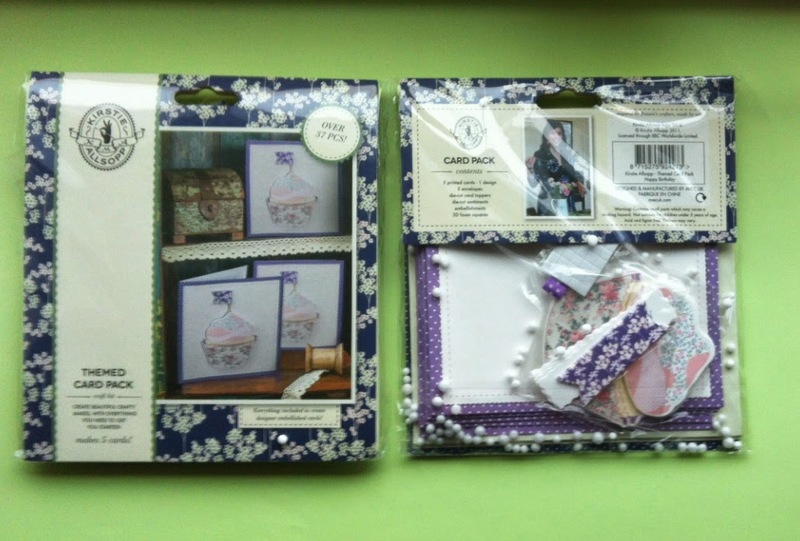 The kits contain everything you will need with full instructions to make your cards. I like making cards best! Cardmaking! I love learning new techniques and creating something unique. I I like gift wrapping to make gifts look really special with hand crafted gift tags. Used to be knitting, now card making. I love colouring in & cross stitch. I love cardmaking and Papercrafts. Card making and scrap booking! I like to try lots of crafts but my favourite is knitting. i love making soaps its so much fun & smells amazing too. Papercraft, especially card making, and anything i can use buttons on! I think my absolute favourite is knitting. I like sketching and drawing. I love most crafts and tend to rotate between a few. Right now, I've been focusing on some of my old cross stitch kits. I love to draw in pencil and also to cross-stitch! I'm not sure this counts but my favourite craft is cake decorating. My fave craft activity is cross stitch. I used to make cards to give to my favourite charities to sell at their fairs. cross stitch. i love it. I love card making and book folding :) both can be very therapeutic!